INDIANAPOLIS – Eli Lilly invest $850 million in its U.S. operations in its U.S. operations over the course of 2017, with an intense focus on its diabetes lines. The investment plan was announced two months after the company terminated 485 positions linked to Eli Lilly’s failed Alzheimer’s therapy solanezumab. Lilly said the investments will span the company’s U.S. operations including research laboratories, manufacturing sites, and general and administrative areas. The investments are being driven by demand for Lilly products, as well as its robust pipeline of potential medicines in development targeting cancer, pain, diabetes and other unmet medical needs, the company said in a statement. The announcement of $850 million in manufacturing investments backs up company statements made earlier this year following the announcement of the solanezumab –related layoffs. In February, a company spokesperson said at the time that Lilly planned to increase investments and hiring in strategic areas. The investment is a move that will ensure investors the company is committed to its manufacturing and pipeline. The company said the investment will allow Lilly to expand its diabetes products manufacturing operations in the U.S., which includes a new $140 million insulin cartridge production facility. Additionally, Eli Lilly said it will invest $85 million to expand manufacturing of its Trulicity-branded diabetes injection device. Enrique Conterno, president of Eli Lilly’s diabetes unit, said the investments the company is making will allow Eli Lilly to continue to be a leader in providing diabetes therapies to the approximately 400 million people diagnosed with the disease. "Our future at Lilly is bright, as we're on a path to launch 20 new products in a 10-year time frame," Chief Executive Officer David Ricks said in a statement. "As we have for our entire 140-year history, we continue to see Indiana and the United States as attractive places to research and make the medicines that we sell around the world." 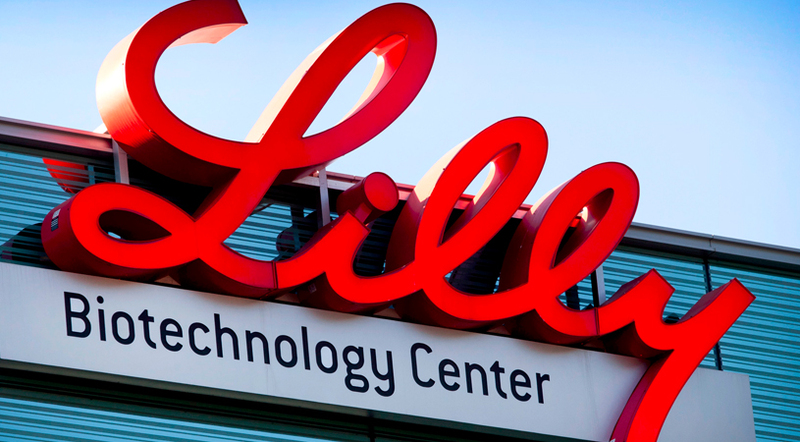 Diabetes manufacturing has been a key component for Lilly’s growth. For the four years between 2012 and 2016, Lilly has invested approximately $1.1 billion to boost its diabetes products manufacturing operations in the U.S., the company said. Investments have included upgrades to existing facilities, as well as the addition of new capacity and capabilities based on the company’s pipeline and disease progression. In addition to the financial investments, during the same time period, Eli Lilly has expanded its U.S manufacturing workforce by more than 1,000 employees. Over the past decade, Ricks said Eli Lilly has invested approximately $5 billion in its U.S. facilities. He added that the company could make additional investments in U.S. manufacturing provided the United States adopts a more favorable tax environment—a clear call out to President Donald Trump who has urged the pharmaceutical industry to bring more drug manufacturing to the United States. During a meeting at the White House, Ricks told Trump the company was looking to hire additional staff for drug manufacturing.